I met Vince Jornales on Twitter (some great things happen on social media too). I reached out to him as one of my followers to see if he wanted to receive the weekly meditation newsletter I am creating. He responded with a kind and excited yes. I then went on to ask what he did to be calm and he told me of his work. After conversing via twitter and finding out more about his background, it was clear I needed to have him on ZEN commuter. 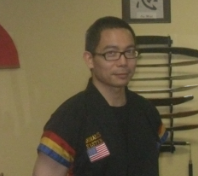 He is a martial arts instructor and so much more. Today we talk about the difference between three different modalities and also how the can help us achieve the same level of calm as meditation. The difference between Tai Chi, Qi Gong and Bagwa Chung. Focus@will - Get two weeks free of the only music service designed to increase your attention.